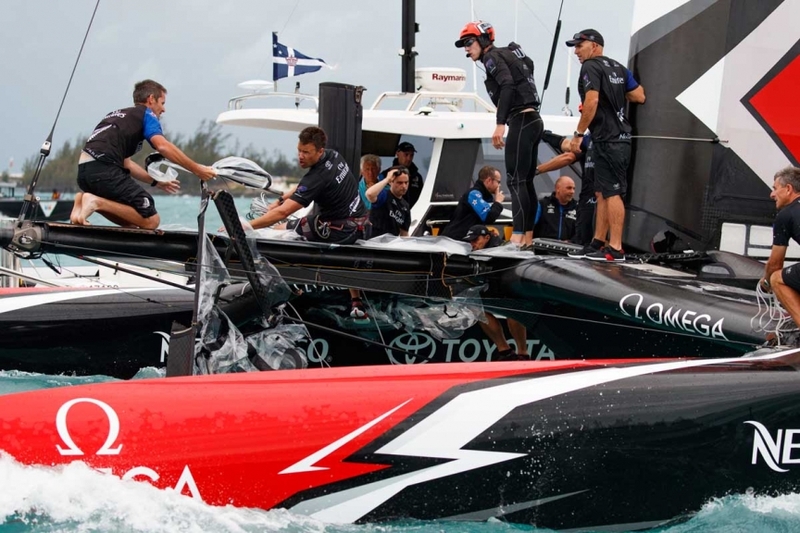 A catastrophic capsize in race four of the semi-finals in Bermuda has put Emirates Team New Zealand’s challenge for the 35th America’s Cup under huge pressure. Chasing the British at the start of the race against Britain’s Ben Ainslie Racing, the Kiwi boat pitch-poled violently with the bows digging into the water followed by the wing-sail. The sailors escaped unharmed but the boat suffered extensive damage, leaving the shore crew with a massive job to get Aotearoa back on the water for racing tomorrow. Ironically the boat was only racing today because of heroic efforts by the shore crew before the start of the first race. 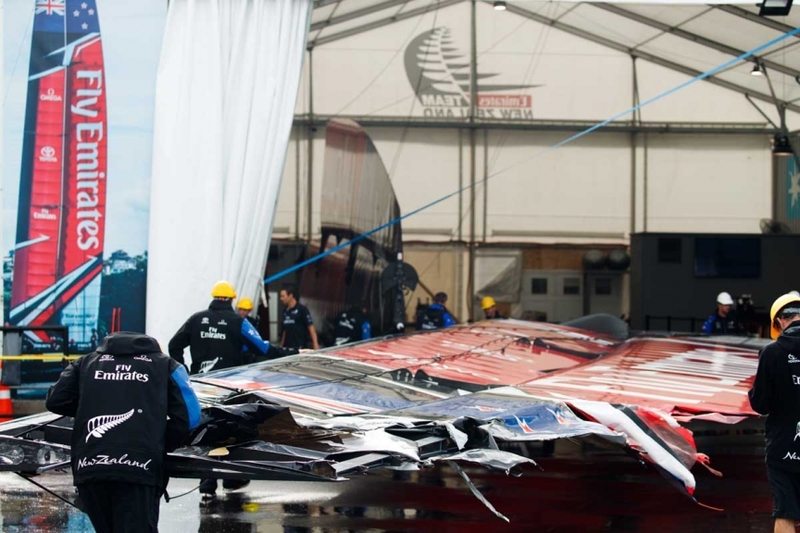 With the wind pumping well above the 24-knot limit at time for racing Peter Burling had sailed gingerly out of the harbour towards the race course only to return minutes later with a badly damaged wing-sail. 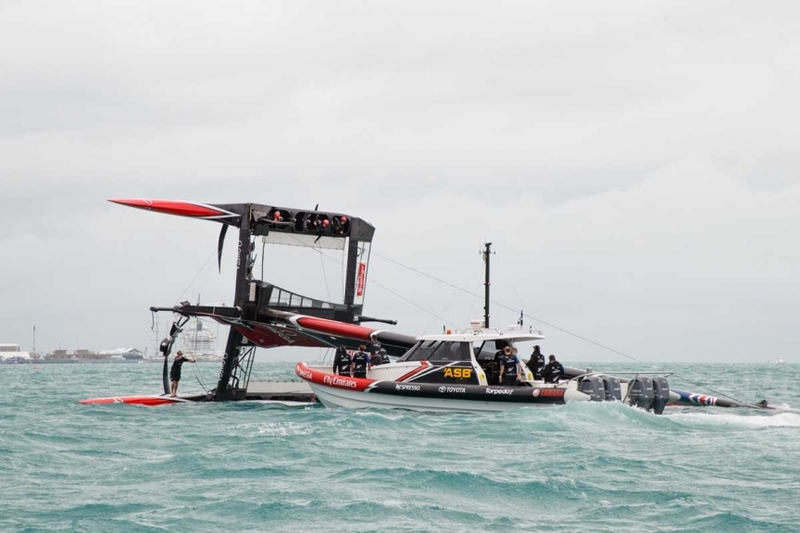 Amazingly the crew managed to install a replacement in just 55 minutes and Emirates Team New Zealand made it to the start where neither boat wanted to engage in the gusts of wind sweeping across the Grand Harbour. The Kiwis followed Ben Ainslie Racing over the line and settled in for the chase. They overtook the British boat on the second upwind leg via a superior tack and superior speed for a 2:10 win to go three nil up in the first to five series. 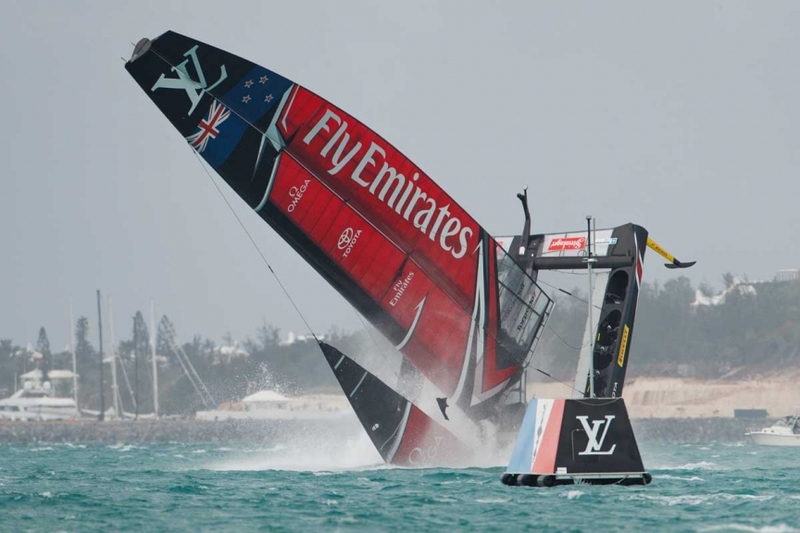 In the next race Ainslie again led at the start and as Emirates Team New Zealand powered up, disaster struck. Once the damage is assessed the shore crew will work through the night to get the boat ready to race.